I’ve been having some great conversations recently on the theme of transformational leadership with some very amazing people, and these conversations have triggered a few thoughts I would like to share. 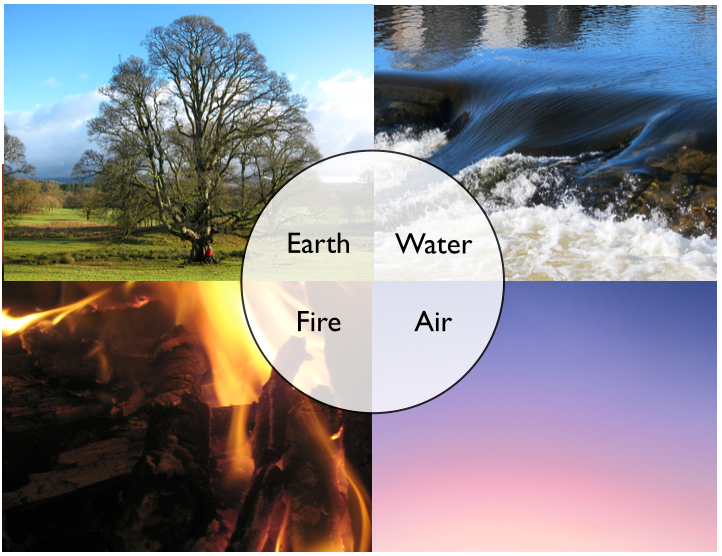 I’d like to start by returning if I may to this metaphorical model of the four qualities of knowing – earth, water, air and fire. Air is much lighter than water, and when we transform our thinking again we are able to achieve ever higher levels of inspiration, sometimes without truly understanding where this inspiration came from. In yoga and other practices there are many breathing exercises which are used to calm the mind and achieve a deeper level of mindfulness. Air thinking is not bounded by limitations or restrictions, our concepts collide and fuse in a heightened level of creativity and insight. The journey to understanding and experiencing wholeness is by no means linear. It is a transformational journey in which we need to change the quality of our consciousness. 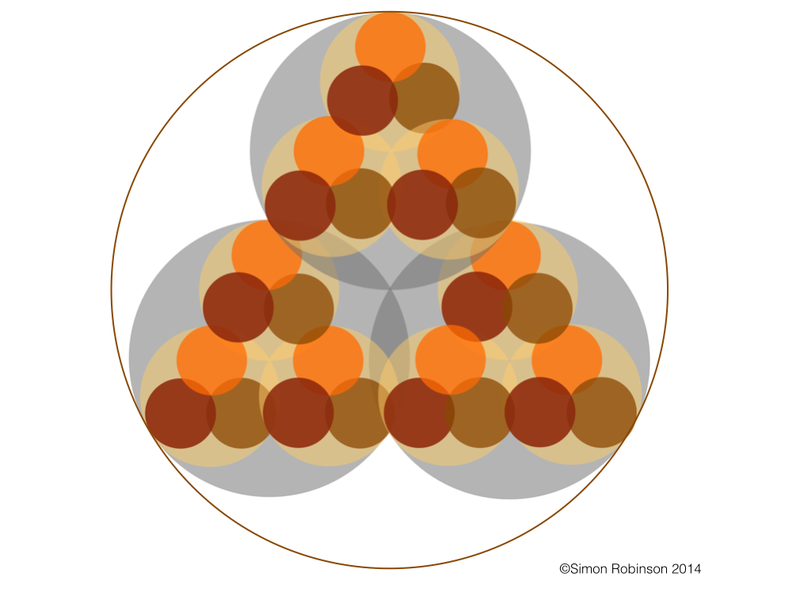 For me the journey is captured in this fractal of wholeness. When we start on a journey of transformation, a deep learning journey, we often do so within a small field of knowledge. As we develop confidence, and our knowledge and awareness expands, so does the learning journey. 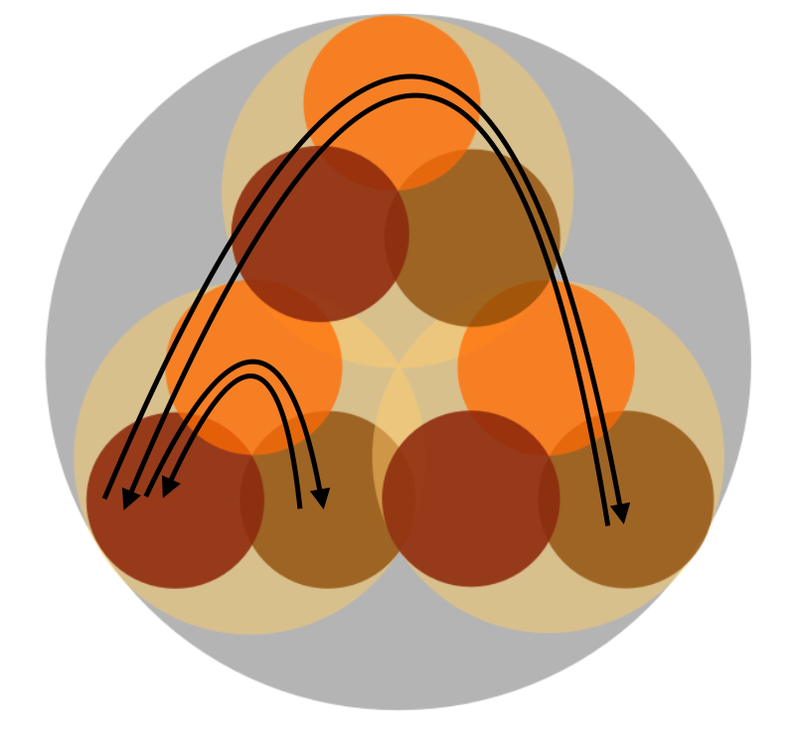 Each circle can therefore represent one aspect of the journey. 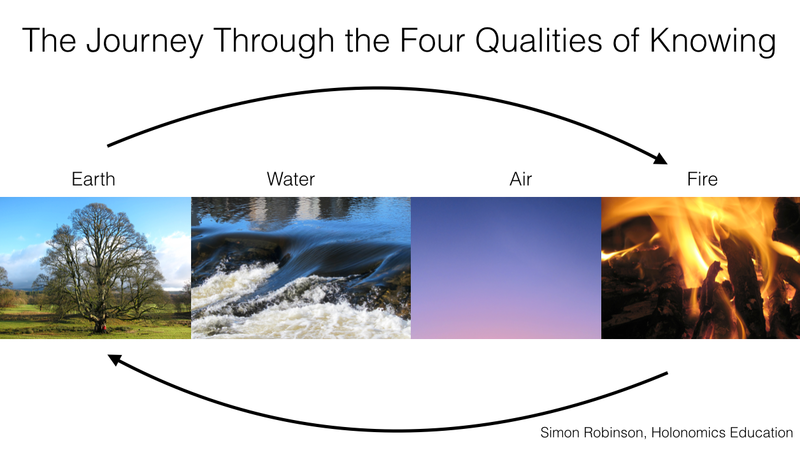 And so if we return to the four qualities of knowing, we can now see that as well as there being a dynamic journey of outward transformation, there is also an inward path of grounding, where we take the insights gained from an expanded level of consciousness and awareness, we being to craft these insights into inspirational ideas, we then prototype these ideas, and then implement them back in our familiar sensory world in which we live. This transformation journey is one of creative insight, and will be familiar to many designers and other creative people, including leaders. However, there are certain traps, and this is something not often talked about, but we do need to address these factors, as this journey is not such a simple one. It is in fact a hero’s journey. The first trap is to read books about changes or levels of consciousness and to confuse academic or intellectual comprehension with intuitive insight. There is a world of difference between those people who talk the talk, and those who walk the walk. An authentic leader has walked the walk through this journey, and there is no escaping from this. You can’t study your way through this journey, it is experiential. The second trap is one of being caught up in our egos. This journey is one from ego-centric consciousness to eco-centric consciousness, but something extremely deep and difficult to put into worlds happens in the fire stage. Many leaders, especially in the West, have become leaders through ego-centric consciousness not just of themselves, but of a society which rewards ego-centric behaviour. In our new reality which is emerging and being co-created, this is no longer working, but there are still people who are not actually aware that they are acting from a place of ego. The danger here is that we may believe that we have reached the fire stage when we have not. We may still be threatened by others (ego), as opposed to recognising who they really are and seeing how they can contribute, co-create and belong to an authentic whole (eco). This is a very tough lesson for those already in leadership positions, probably one of the hardest lessons of all I would suggest. The third trap is on reaching the level of transformation, the fire, you are so affected by the transformation that you do not know what to do with the insights. Fire burns, and so people on this journey need to be prepared for it. It also very much shows us why we need mentors, guides and authentic facilitators to hold the space for us and to be with us on the journey. The fourth trap is one where you reach the stage of fire, of transformation, but you get so blown away by the depth of insight, you then attempt to articulate yourself from here. This is a huge lesson for leaders, since in order to inspire, you have to be able to address people at the level of their conscious awareness, and not your own. The solution to this trap is to realise that the journey is not one-way, you have to buy yourself a return ticket when you set out, and you return through the very stages you came through on your way. So how do we develop the new generation of leaders who will be inspirational in the transformation of society, the ones who will be fully participating in conscious innovation and conscious capitalism? 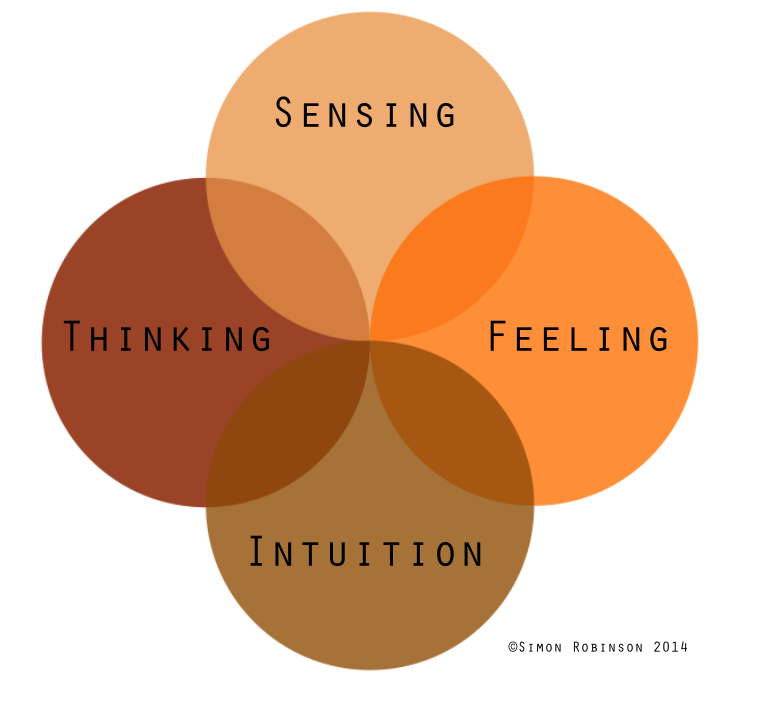 The answer is that new leaders will need to be able to find a balance in the four ways of knowing – fully utilising all of their faculties of knowing – thinking, feeling, sensing and intuition. Maria and I call these four ways of knowing the Holonomic Operating System. In November we will be running a workshop Holonomic Thinking: Upgrading Our Leadership Skills and Systems Thinking for the New Economy, and in this workshop we will be exploring this mental operating system in depth, in order to really understand what this means both for our own ways of understanding the world, and also in terms of the implications for the design, implementation and communication of truly sustainable brands. These are very exciting times, and if we can find this level of authenticity inside ourselves, we will be able to make a huge impact in both our companies, organisations and brands, and our communities in which we live and work.